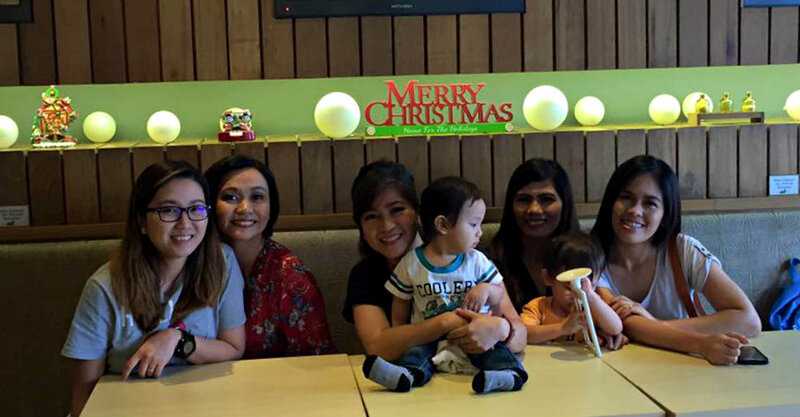 Last Thursday was an out-of-the-ordinary day for me and my mommy blogger friends. 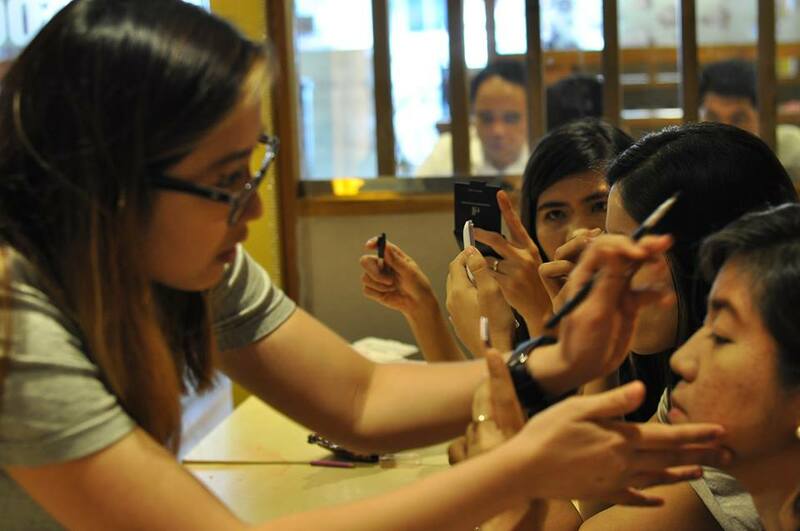 We met in RamenCool once again for our first ever (informal) make-up 101 session. Thanks to our gorgeous friend Mhaan of Mommy Rockin’ in Style (and The Beauty Avenue) for teaching us the make-up basics. It was such a fun learning for us inside a cool, cozy meeting place in RamenCool, with the kids playing and messing around during the session! Lol! ZD was the best! He destroyed quite a few stuff, haha! Here’s a few things that I learned during the session. Make-up experts, I am a work in progress here, slowly learning this world of unknown called make-up! Haha! 1. Primer is the smoothest thing on earth! Of course, I’m kidding! But that was the first time I’ve ever touched a primer and it’s the awesomest thing in make up for me! Pardon the first timer! We all have our firsts, right? And this was my first. *grinning! * Wow, how are they able to invent something like this? I don’t even know what brand of primer that was but I need a primer! Hahaha! Makeup primer is a base for foundation or face makeup that allows it to go on smoother and last longer. Formulas are available in cream, gel and powder. 2. A small brush can make a HUGE difference!!! How amazing are these things, right? I didn’t know why use soooo many brush when using make up! Now I know (at least a bit) why that is. For instance, when doing the eyes shadow, there’s a thing called eyeshadow brush to use for the lightest shade or base color all over the eyelid. Then there’s tapered blending brush that we used for the darker shade in the crease area. And lastly, the pencil e30 for depth, darkest on outer v. And they really have different uses, cool! And before this session, I was just using my fingers to put a little color on my eyes! Before this session, I used to watch a few make up tutorial in YouTube so highlighting and contouring isn’t something new for me but I just want to say how chic is this method, right? Like you can lift a few areas on your face and you can also put the others in the background. This make-up thing is really an art! I did most of these with (of course) the guidance from “MUA” (m.ake u.p a.rtist, that’s what I called her, mwah!, lol!) and some, she did on her own, like the lashes and the shadow on my right eye. With more practice, I hope I can do this right! Now when I need to go to events, then I can do this, because as what Frances of Topaz Horizon said, we need to look good, as bloggers, you know! So once again, thank you Mhaan for helping us out! And to Berlin, Madz and Melisa, learning is always fun with you guys because I know I can fool around! Lol. 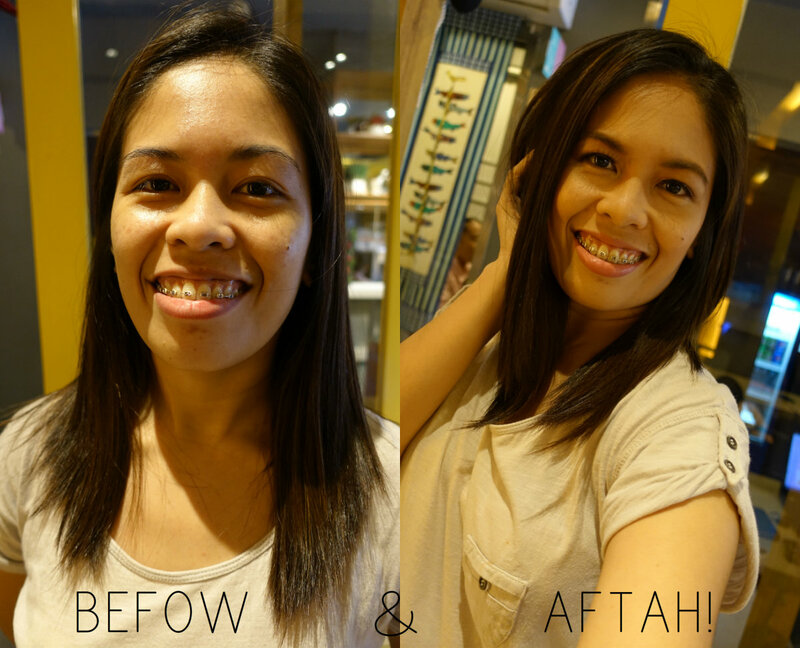 Mhaan is an engineer-turned-freelance make up artist and is the person behind The Beauty Avenue PH. She graduated from Maquillage Professional of Makeup Artistry to pursue her passion in beauty blogging and makeup. 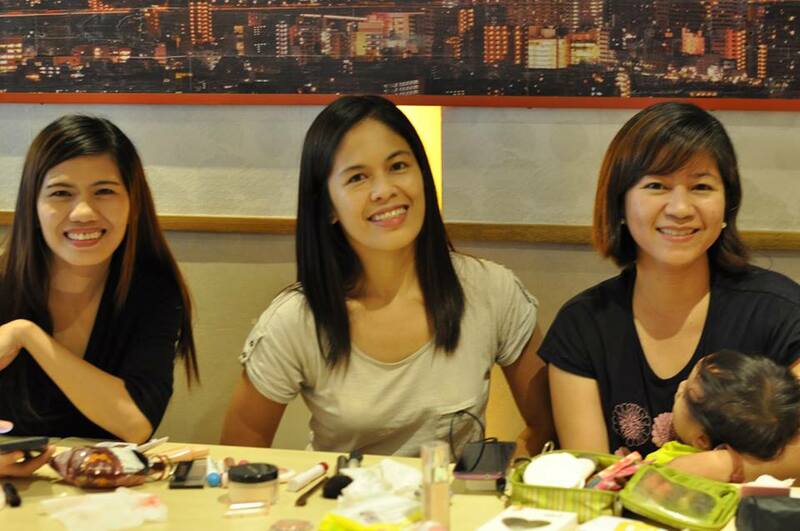 For all your make up needs, feel free to contact her through her FB Page or her email: marieann.arambulo@yahoo.com. Of course, thank you so much to RamenCool and its kind owner for being our venue host. Thanks to the ever helpful manager January Villarde and her staff and most of all, thank you for the tasty foods that we enjoyed before the session. Ang ganda ganda mo talaga 🙂 Seriously, it was more than fun. So thankful for kind friends who are more than willing to share their know hows and of course for the owner of Ramen Cool for accommodating us.This make up 101 wouldn't surely be possible if without their generosity and kindness. Lucky you for having a MUA friend. Ang mahal ng Make-up Workshop, di carry ng budget ko. lol Nowadays, I also watch You Tube tutorials and hindi ko rin masundan because I don't have the make-up stuff, maski primer di ko rin alam. hehehe! Hehehe glad you learned a lot from our "workshop". Next time, let's make a video naman ha! See you soon! 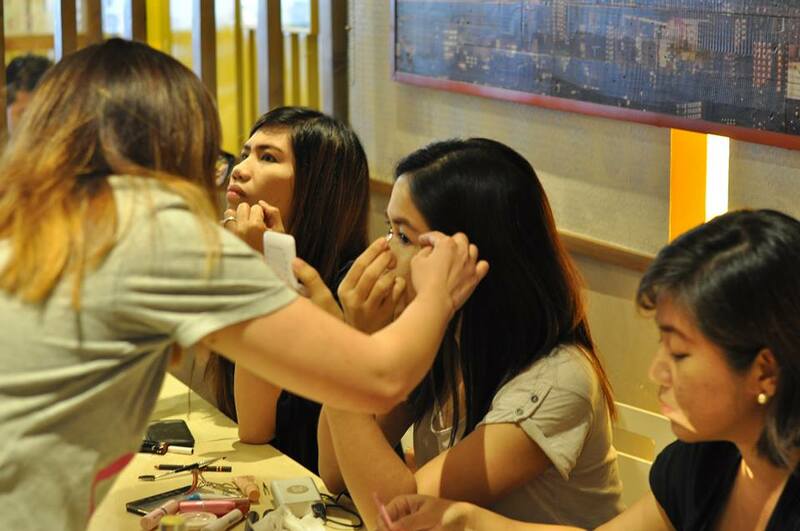 That's a very nice way to bond with other bloggers – have a make-up session! I love buying make-ups but I seriously need tips on how to use them especially the primers. I only know how to use the eyeshadow but the face is still a bit bare with only eyeshadow and a lipgloss on. Naku, ako rin sis, di ko rin keri! haha. Kaya when she offered to teach us, naku, di kami nagdalawang isip sumali! haha. Ako din, moisturizer lang! haha. Kaya mo yan, practice lang tayo ng practice. haha. Di ko pa din perfect yang kilay na 'yan e. lol. Yaaaas! I'd love that gaw! hehe. It was indeed fun learning with them, sis. 🙂 There's a lot of make up tutorial in YouTube to help us too, but I think it's still different when it's done in person. hehe.